Now you can keep up with all of my projects so I don't make millions of threads for millions of trucks. Last edited by TlathamXmahtalT on Mon May 18, 2009 3:27 pm, edited 1 time in total. Are we EVER gonna' see that Weapon 1 truck released? It's been months seems like. I've had some things come up. MTM2 isn't my top priority, but I'm sure you'll see it released this month. Travis, do you have NR2003, and if so, what is your favorite number? I might have a surprise for you. 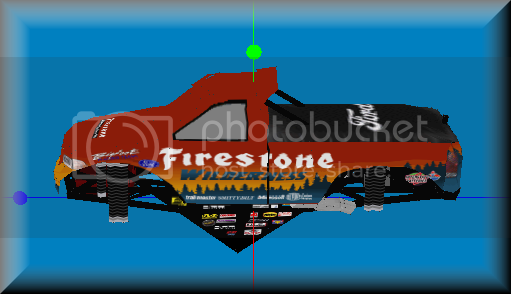 I found a Mountain Dew base scheme online, and I thought about your Mountain Dew truck. I am done working on Frostbyte, simply because I don't like it anymore lol. BUT!!! Custom Weapon 1 is FINALLY RELEASED! You're welcome PM. I do not, probly for the better. I wouldn't mind seeing it however. Once I get it done. Just found out how to fix PSP7, and I finally found a free MS Paint download, but it only saves BMP files, so I have to transfer to PSP7 for this PNG file. But guess what I'm working on. I know it has no front or back windows yet, but I'm retexturing that at the moment. The front, back, and windows had to have been to be retextured. I was close on working on that....but I changed my mind about it. P.S. By the way, i fixed up the chassis a bit to be more like they were back in 1999. Stopped working on Firestone Wilderness for right now; will be done soon. TJ, I am not trying to start an argument. But the Max D you just released looks exactly the same as the Max D myself, Scott, Ryan, and Jet slaved over. Not trying to start a fight, last thing I'd like to do but I'd like to know what you changed if anything. And in your credits file, it says "Edits by" the folks that worked hours on that truck.. Those were not edits my friend. Tires look the same, paint looks exactly the same as the previous Max D that was released. Regardless I am glad you gave some sort of credit.. People aren't so great at that these days. If you look at the sides of the truck, you can see the difference on the position of the "spikes." If you look at the tires, they are dirtied. If you look at some of the mapping, it has been more symmetrically aligned. I know you guys slaved and pained for a while, but at least I told who did most of the work, and I'm saying this right now, that most of the things that I did, were only minor edits. I'm not implying that I did it all. 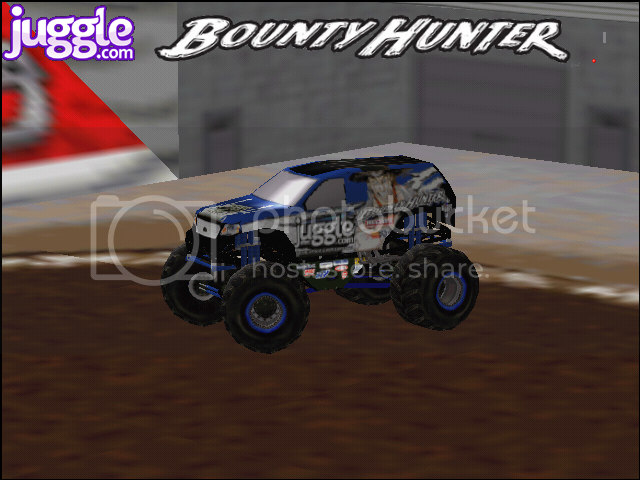 I'm implying that I made few edits, to make the truck look a bit more like Max D looked like when I did it. About the edits thing in the ReadMe, I copied and pasted in the wrong spots, and I was in a hurry before I had to do something, and that was a mistake on my part; yes, I admitted it. If you want it removed, I don't care; I mean, really, I don't care if my few edits gets taken down. But if you want it up, then okay, that's good. Last edited by TlathamXmahtalT on Fri Dec 17, 2010 5:55 pm, edited 1 time in total. That's fine. Was just curious. The custom Monster Patrol Dodge has been done for about a week (and just in case you're wondering, yes, PM Customs transferred the truck over to me via email); I've just not had enough time to post it on here or Draggers. So, here's the pic. It has working headlights and taillights, and it also has working police lights. Here's a picture in BinEdit.